Being the Green Ninja is a pretty big responsibility. Cause it's not just about wearing a green outfit and showing off your Spinjitzu skills. It's about bringing order to Ninjago, protecting your friends and saving the world from the forces of evil. Whoa! That's a pretty tall order, but if Lloyd Garmadon can take on the challenge, then we think your kid is a shoe in to take on the role as the next Green Ninja! We even have a special costume waiting for him should he choose to unlock his true potential! 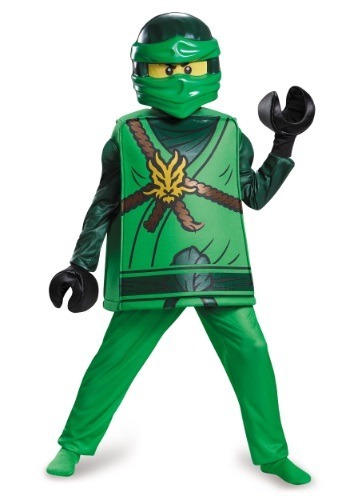 This Ninjago Lloyd costume for boys helps your kid unlock his true potential! It recreates the look from the cartoon series perfectly, from the box-shaped Lego body tunic, to the mask that transforms your child's face into that of a Lego head. 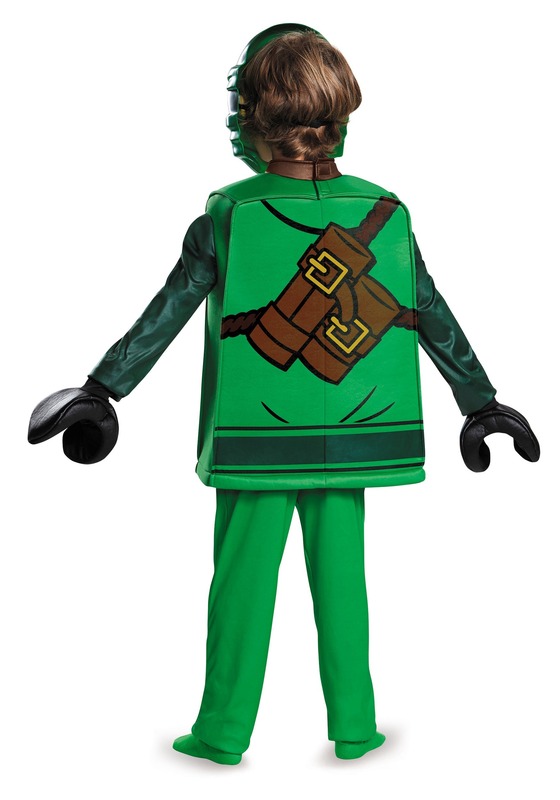 Check out our entire selection of Lego officially licensed costume to assemble a group theme for him and his friends or sibling. We're sure they'll all love using Spinjitzu when they have these deluxe costumes! Great quality, pants run long. Grandson loves it!